Gland, Switzerland. Indian Ocean yellowfin tuna stocks may collapse without better regulation, warned WWF in advance of the annual meeting1 of the Indian Ocean Tuna Commission (IOTC), the organisation responsible for the conservation and management of tuna and other marine resources in the Indian Ocean. The IOTC, which meets May 23-27 on the French Indian Ocean island of La Reunion, has yet to set catch limits on any tuna species. The status of yellowfin tuna has changed from ‘green’ to ‘red’ according to the latest stock assessment conducted by the IOTC and published in 2015. 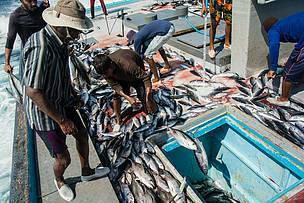 The IOTC Scientific Committee warned of a possible stock collapse within just five years if fishing continues at recent high levels. Yellowfin tuna, a high profile species that makes up a significant and valuable proportion of exports from the region, is seriously affected by overfishing and is in need of urgent measures to recover. The seafood industry and communities that rely on a healthy yellowfin stock are highly concerned by the IOTC scientist’s predictions of a possible stock collapse in the near future, which would place their livelihoods under threat. Thirty-eight key international businesses, from tuna companies to supermarkets, are joining with WWF to call for better regulation of tuna fishing within the Indian Ocean, demanding reductions in catches of yellowfin tuna and the introduction of harvest control rules to prevent this happening again to this and other tuna species. Although the focus this year will undoubtedly be on the plight of yellowfin, many shark and ray species in the Indian Ocean remain subject to unsustainable levels of fishing mortality, coupled with significant data gaps regarding catch and biological data. WWF has grave concerns with the lack of management of sharks and rays within the IOTC region and also call on the Commission to adopt measures that improve the conservation and management of vulnerable species like sharks, rays, sea turtles, seabirds and cetaceans, specifically, the requirement for shark fins to be naturally attached until the first point of landing. 1 From 23-27 May, delegates from over 30 IOTC member states ranging from small Indian Ocean coastal states to fishing powerhouses such as Japan and the European Union (EU) will meet in La Reunion, France. Together, they must decide to adopt important conservation measures for the management of their shared tuna stocks. 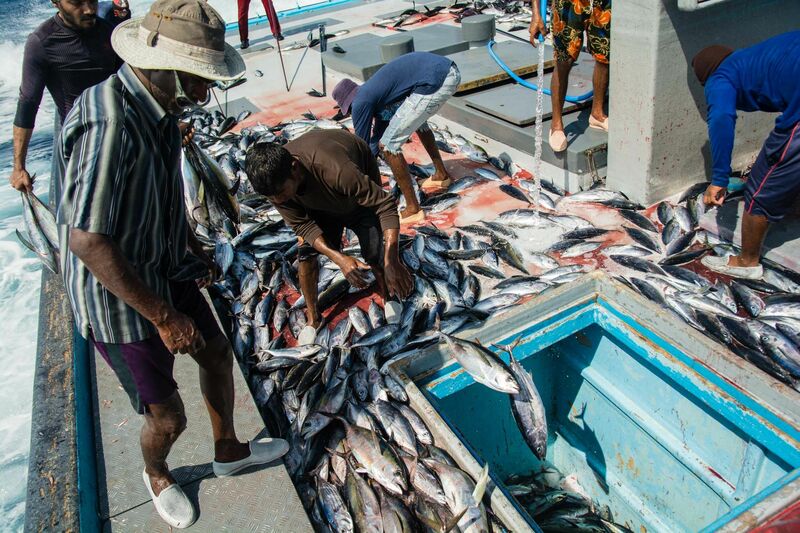 WWF will be attending as part of our close and ongoing work with IOTC members to safeguard the future of the tuna industry in the Indian Ocean.